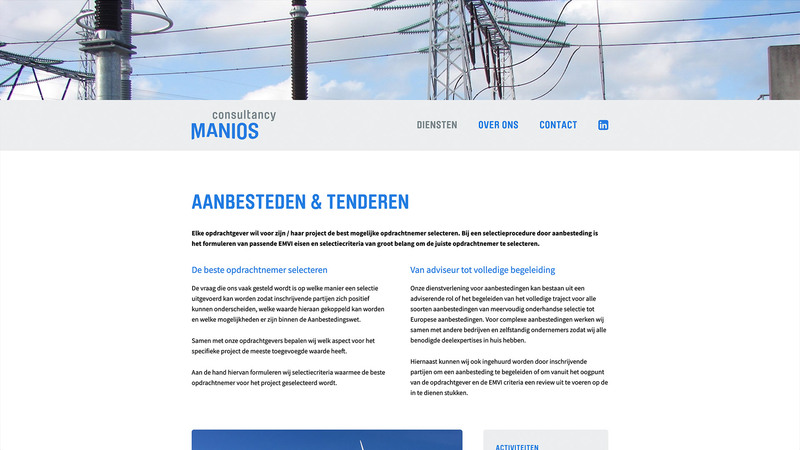 Design and development of a website for Manios Consultancy. 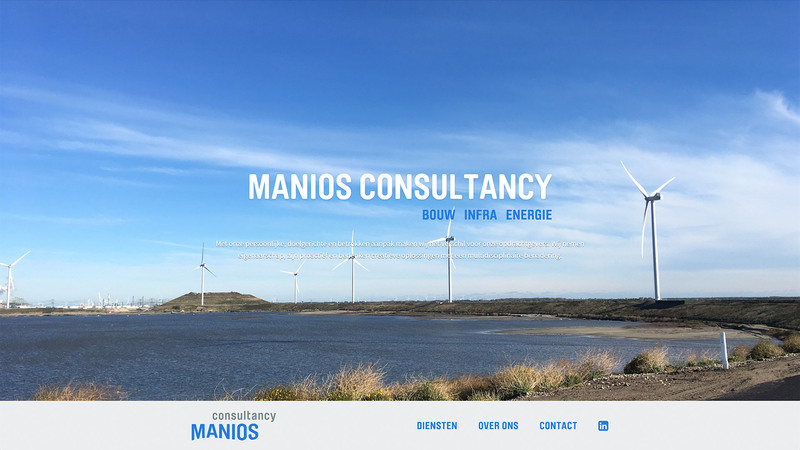 Construction - Infra - Energy. 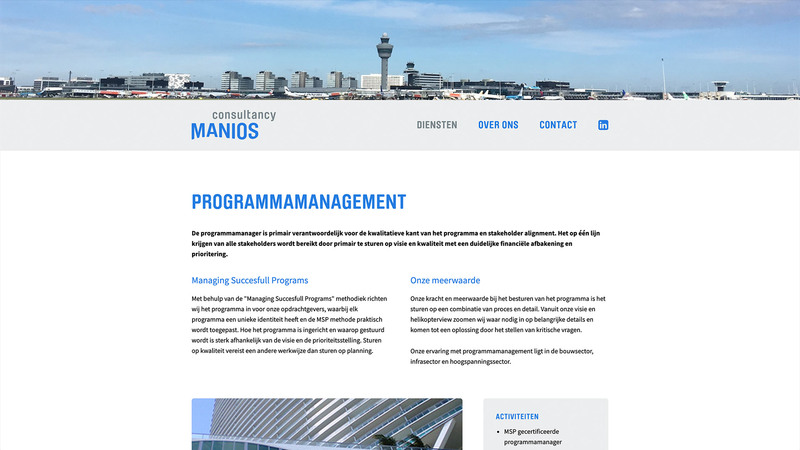 Manios Consultancy makes a difference with regard to program management, project management, feasibility analysis, UAV-GC contracts and tendering with a personal, goal-oriented and involved approach. The site can easily be edited and managed with Create Sites, our content management system.